While shopping for hardwood flooring, you may have come across the term “grade” and wondered exactly what this means. Grade refers to the visual appearance of the natural wood. Grade is evaluated along a wide spectrum that ranges from woods that are very uniform in appearance with few knots or other visible wood characteristics, to woods with noticeable color variations, open knots, streaks, worm holes, and other standout characteristics that are inherent to the natural wood. Within each species, the highest grades will be those with the most uniform colors and the longest board lengths – often 7’ lengths, but longer lengths of up to 10’ or more are becoming more and more popular. The lowest grades, which are oftentimes the least costly, will include far more color variations between boards and much shorter board lengths with the average lengths falling between 8 and 24 inches. So you may be thinking that a high-grade wood will ensure a floor’s value and longevity. Well not necessarily. 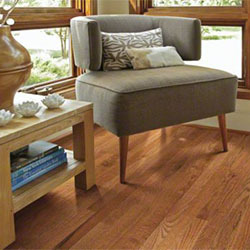 When evaluating hardwood flooring, you must also look at quality. Quality is more closely related to how the wood is manufactured to create the final planks. So for example, a high-grade wood may incur manufacturing defects, which would lower the quality and thus the overall value of the flooring. On the flip side, a lower-grade wood may be milled with no defects, resulting in a higher-quality product with an increased value. 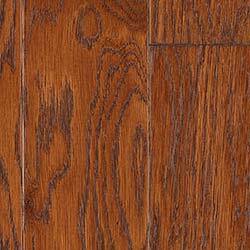 So when shopping for hardwood flooring, it’s always important to look at both grade and quality together. Nonetheless, grades do serve as a way to classify woods within each species. Following is a table that describes the various grades and the allowable defects found within each. The descriptions for each grading category are fairly similar for both prefinished and unfinished woods. However, the names used to refer to these grades may differ based on the manufacturer. Unless specified, the allowable defects listed are included in the flooring industry’s standard 5% waste factor allowed for all better wood flooring grades and 10%-20% allowed for lower grades. The top grade within each wood species, these woods are cut from the center of the log and have a highly uniform look with few knots. The sap content is low, and there are few color variations. After finishing, the face of the boards will have the “cleanest” appearance within that species. The next-best wood flooring grade, these boards have faces with more wood characteristics relevant to the species, but the faces are still even and smooth after filling and finishing. Includes most of the wood’s natural character – more color differences, bigger knots, and creamy-colored sapwood. A limited amount of unfilled or unfinished open characteristics on the face are allowed. Expect overall shorter pieces. Longer lengths but more color variations are typical in Builder, Natural, and Sapwood grades. Character Grade can include longer-length boards but with more knots and color variations. Shorts may include pieces that are only 24” long, but also can have clean faces. Allowable defects include a limited amount of pieces with some finish irregularities, including: bubbles, skips, lines, stain or color variations, and minor surface scratches. Better board lengths and cleaner faces, but may include low-grade wood characteristics and quality imperfections such as machining issues. Typically, there are shorter board lengths, more color variations, and small dings that can increase the expected waste to more than 10%. Allowable quality defects prohibit these woods from being covered by a structural warranty, but a warranty on the finish may be available. Includes boards with the shortest lengths and woods with the most natural imperfections and machining issues. Expect a more than 10% waste factor. There is no structural warranty offered on this wood, but a warranty on the finish may be available. Most wood imperfections and machining issues found. The lowest grade in wood flooring – all imperfections are allowed and thus no warranty is available. When Does a Wood Make the Grade? When selecting your new flooring, keep in mind that grade is determined by the appearance of all of the boards used together to create a floor and not by each individual plank alone. As noted earlier, there’s nothing wrong with purchasing a lower-grade wood. If you want more color variations and character from your hardwood flooring, going with a lower grade is a great option. The most important thing to consider is quality. Generally, the lowest-priced woods are those that are of a lower grade and include manufacturing defects that impact overall quality. Narrower board widths and thinner plank thickness will also impact quality, and are often less expensive. And even with the lowest-grade woods, such as Shop grades, you can still get a great value, especially if you are an experienced DIYer. But keep in mind that a higher waste factor will mean more labor and materials to get your desired look. To learn more about wood grades or to find the hardwood flooring that best meets your needs, contact us. We’d be happy to answer all of your hardwood flooring questions.